Snowed in? Put that cabin fever to good use and try one of these iconic winter-proof looks. What better time to turn your home into a warm and welcoming den than during the chilly winter months? With just a little investment and some ingenuity, you can bring a distinctive winter-friendly look into your home. Here are three concepts to inspire you — and some tips to get you started. This look is a perfect fit for a snowy winter day. 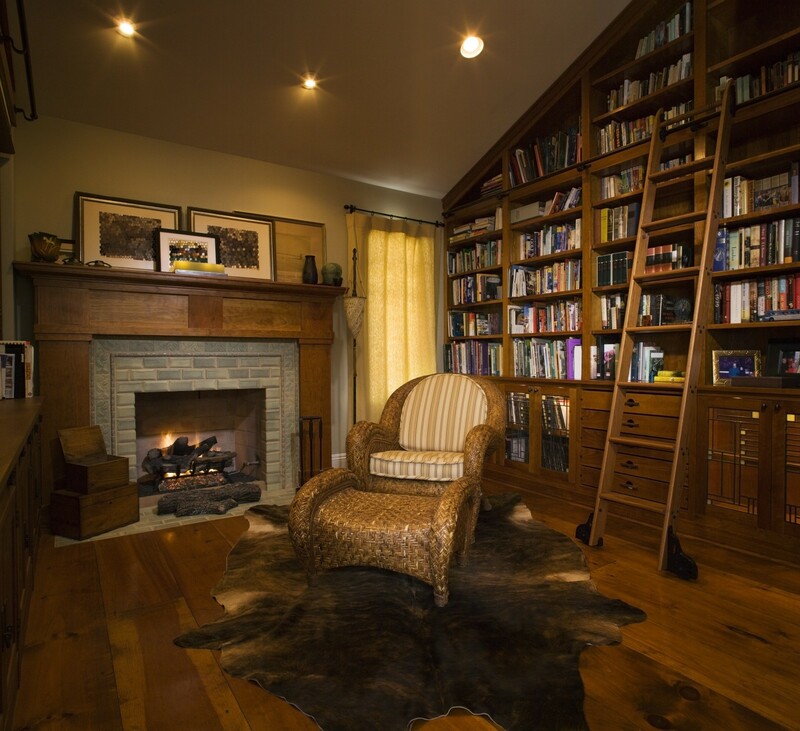 Filled with shelves of leather-bound tomes, tufted chesterfield sofas and focused lighting from brass sconces, the study is the perfect spot to curl up with a favorite novel, enjoy a cup of tea or nap away the afternoon. Built-in bookcases may run up a tab, but two or three flat-pack units arranged tightly in a row can nearly fill a wall without breaking the budget. Pack them with as many books you can find — the fuller the better. Check out garage sales, thrift shops and library clearance sales for additional hardback books if you’re short. Sure, you may not have a tufted leather sofa on hand, but any love seat positioned in front of the bookcases will look dramatic. Instead of square throw pillows, try round bolsters in the corners for a more formal style. A vintage rug is ideal underneath, but convincing reproductions can be found online for a fraction of the price. For the coziest of lighting in the evenings, add sconces to your bookcases. Inexpensive clip-on downlights work perfectly in a pinch. If possible, flank the love seat with a pair of floor reading lamps, swiveled low over the arms of the sofa. Crisp white paint, whitewashed wood and neutral furnishings make even the gloomiest of days feel bright. This aesthetic is definitely modern, yet it’s touched with woodsy rusticity and directly connected to nature. Winter-friendly accessories bring in a bit more comfort and prevent the space from feeling cold. Compatible with the popular all-white color scheme, the Scandinavian chalet look can be achieved with a few tweaks — some more involved than others. For an amazing yet affordable chalet transformation, consider covering one wall (ideally around a fireplace) in inexpensive pine boards. You can run them horizontally or vertically, and you may choose to either paint them to match your other walls or seal them with a whitewash or light gray stain. Embrace irregularities and small gaps between the boards — they’ll give you the modern, woodsy touch that makes these spaces memorable. Define a seating area using a generously scaled jute rug. Build on this surface’s natural color and texture with pieces of upholstery. If your furniture isn’t neutral, try slipcovering it or even tossing a large canvas dropcloth over it. 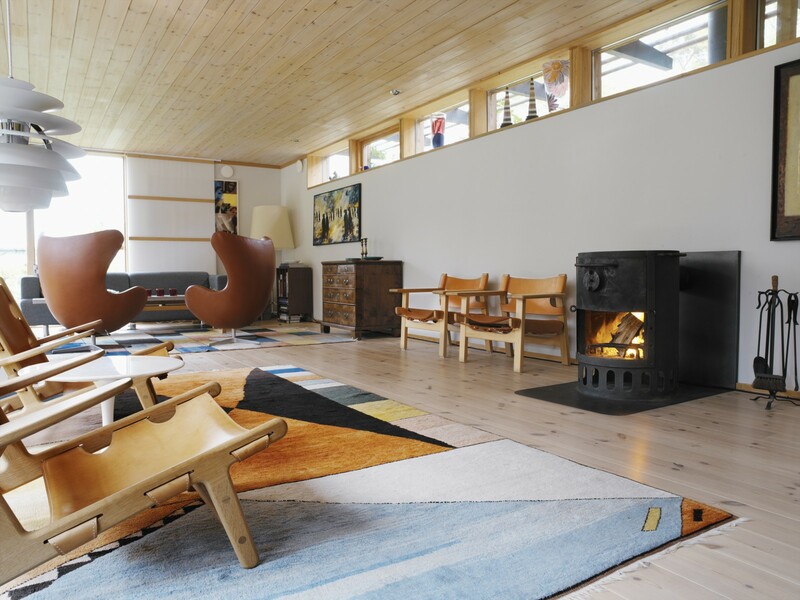 A stack of substantial floor pillows encourages a more relaxed gathering beside the fire or around a board game. And a faux sheepskin throw or two will further warm the space. For accessories, try hanging a white papier-mache deer mount over your hearth and stacking paper birch logs beside the fireplace. For lighting, overscale paper lanterns affixed to a simple plug-in pendant light make a big 1970s Scandinavian statement at minimal cost. Longing for the warm colors of summer? This look brings them indoors using tapestries, artwork and an abundance of houseplants. Layering is the name of the game, with floors covered by an arrangement of inexpensive flat-weave rugs, upholstery draped in throws and embroidered pillows, and groupings of mixed-media art on the walls. While many seeking the boho style focus on white walls as a backdrop, you can create a warmer space with a bold color or dark earth tone. 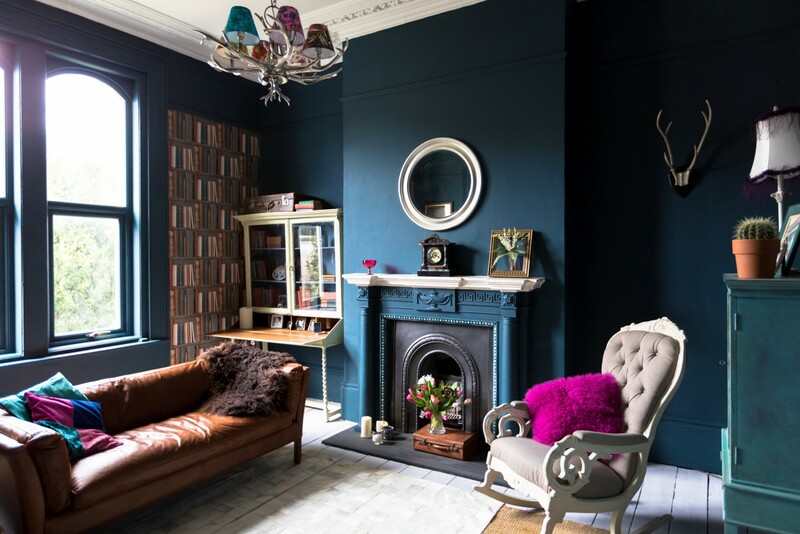 Paint one or more of your living room walls to invite contrast. Start building your nest from the floor up. Instead of purchasing one large expensive rug, try layering a mixture of smaller and more affordable rugs of varying styles and colors for an eclectic and relaxed feel. If you have walls that feel a little barren, consider draping them with floor-to-ceiling curtains. This will envelop and soften the edges of the room. If premade ones aren’t in the budget, you can easily make your own perfectly fitted drapes with fabric. Create a simple hem around the edges with a quick pass through the sewing machine or a little bit of ironing with hem tape. Use ring clips to attach the fabric panels to curtain rods. A gallery wall can also give your living room a warmer feel. While typical galleries consisting solely of framed art tend to be the decorating norm, you can keep the look fresh and more bohemian by integrating a broader spectrum of art types. Hang clay or wood pieces, textile art, paper sculptures and even wall-clinging plants — like staghorn ferns — to give your gallery wall life and personality.